Our office is conveniently located on Central Park South between Fifth and Sixth Avenue on 59th Street, which is one of New York’s most beautiful neighborhoods. Please find at your convenience a little information regarding subways to our office. Please click here for a complete map. Please click here to get the NYC Metro Bus Map or feel free to get Bus Directions from your location via. There are numerous of parking options available around our office at Cosmetic Dental Specialists located at 30 Central Park South. Please click here to find the best option possible for you convenience. 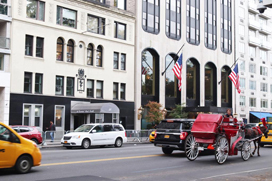 For the convenience of our patients traveling from overseas and other states, our location offers some of New York’s finest hotels, such as The Plaza, The Pierre, The Ritz Carlton and The Park Lane to name a few. For more information, please click here.